Dry Eye Syndrome, also known as Ocular Surface Disorder or Dysfunctional Tear Syndrome, is a condition which causes symptoms of burning, scratchy, and irritated eyes, discomfort, and light sensitivity. 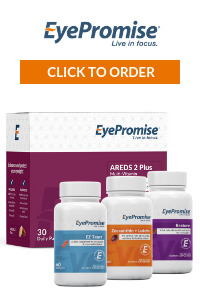 There are quite a few causes for dry eye including age, gender (women are more susceptible than men), certain medications, our environment, contact lens use, gland blockage, LASIK, and working on the computer. Dry eyes are affecting adults earlier than ever due to the emergence of the Internet, computer-related jobs, and hand-held devices. Staring at a near target (like computers & hand held devices) significantly decreases your blink rate, thus repeatedly drying out your ocular surface. While there is no complete cure for dry eye, artificial tears, prescription eye drops (steroids, Restasis, Xiidra), Lipiflow, lid hygiene, Omega 3’s, and drinking a lot of water while decreasing caffeine intake often helps keep you comfortable and seeing well. We are excited to announce that we just recently installed two new pieces of technology called The LipiScan Dynamic Meibomian Imager and The LipiFlow Thermal Pulsation System. The LipiScan™ with Dynamic Meibomian Imaging™ (DMI) captures high-definition images of the meibomian glands. The LipiFlow® Thermal Pulsation System consists of a Console and a single-use sterile device, known as the Activator, and has a drug-free mechanism of action. Eye care professionals use the LipiFlow System to treat MGD patients in-office with confidence and efficiency. PROKERA® biologic corneal bandage devices are used by eye doctors around the world to heal and treat eye diseases such as keratitis, common dry eye, recurrent corneal erosions, filamentary keratitis, persistent epithelial defects, neurotrophic corneas, herpetic ulcers, and many other ocular surface diseases. The PROKERA family of products - PROKERA SLIM, PROKERA, and PROKERA PLUS reduce inflammation and simultaneously promote regenerative healing of the ocular surface. The amniotic membrane tissue in PROKERA products, which is preserved using the Company’s proprietary CryoTek® processing method to ensure the tissue retains its full biologic activity, has natural therapeutic actions that help damaged eye surfaces heal. PROKERA products provide faster and more effective healing of the cornea with less scarring and inflammation, leading to clear corneas and improved clinical outcomes. PROKERA biologic corneal bandage devices are safe and effective with no risk of intraocular pressure (IOP) spikes or delayed healing. PROKERA products can be inserted in the doctor’s office, or may be inserted in a surgical or hospital setting in conjunction with other procedures. PROKERA products can also be used in combination with topical agents. Why did we name our dry eye clinic The Greenhouse? If you've lived in Spring Hill long enough you may remember the large greenhouse on the property where we are currently located. Our dry eye clinic pays homage to this history and is even decorated with tools and items found in the original greenhouse. We used the green barn wood and green fireplace mantle in this room. Also, greenhouses are full of humidity and moisture and if you have dry eyes, we want them to feel this way too!